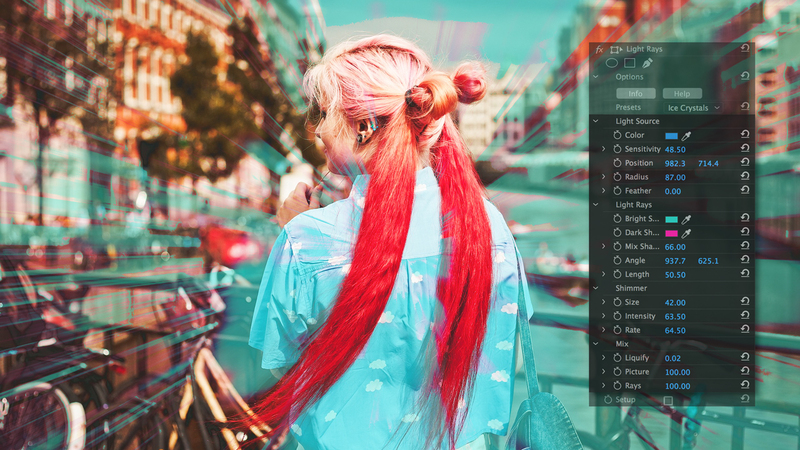 Find the colorful and imaginative effects you need in Stylizers 5. NewBlue Stylizers 5 offers 35 video effects with over 400 presets that instantly transform your footage with energetic motion, vibrant light and stunning art. From impressionist styles to energetic blurs and flickers, the new Stylizers 5 makes it easier than ever to give your production a unique look. Add suspense to your footage with Stylizers Illuminate, create a sense of eeriness with Stylizers Excite, or transform your footage into a pastel painting with Stylizers Imagine. Regardless of your production, you can select the perfect look and make it your own. Featuring 35 stylistic video effects and over 400 presets. Includes Cartoonr Plus 5 and Stylizers 5 Excite, Imagine, and Illuminate. We’ve added 12 new plugins and tons of new improvements to Stylizers 5. Here are a few of the new key features we’ve added to enhance your experience. 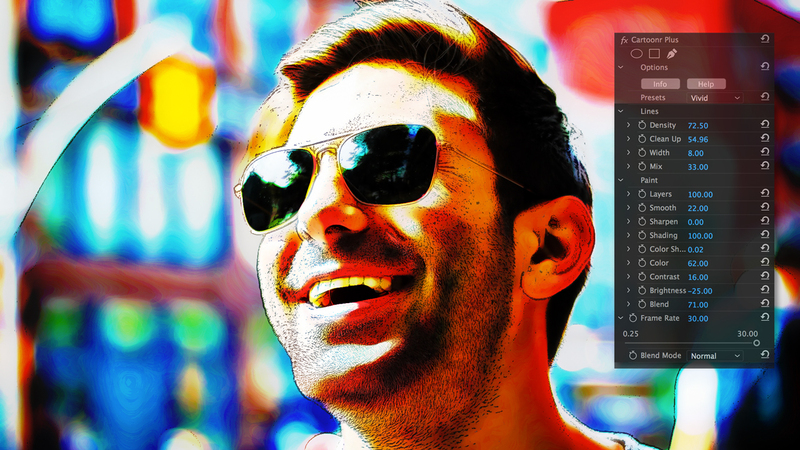 Blend Modes: Mix two images together with a variety of algorithms to create truly unique looks. Color Melt: Expand, soften, and blend the colors of your image to create a bright, lava lamp look. Ghost: Use distortion effects to fog your image and give it a sense of eeriness. Line Drawing: Line Drawing converts your image into a series of dots and lines, darkening the edges of the objects in your picture. Pastel Sketch: Transform your video into a pastel painting with Pastel Sketch. This software uses color replacement and inked edges to replace the reality of your footage with a hand drawn sketch. Spinning Light: Add dimensional illumination to the center of your image and give your footage a hypnotic edge that elevates the action of your video. Motion Blur: Motion Blur gives the impression of movement by blurring and blending object location differences from frame to frame. Light Bender: Light Bender plays with the radiation and highlights of your original image to create curved flares and shifts in movement into the next scene. Light Rays: Simulate dramatic light with angled beams that flicker throughout the image to create a powerful sense of illumination. Psycho Strobe: Generate bright flashes and colored light to amplify any movement or action, heightening the suspense of your video. Starlight: Accentuate the highlight areas of your image with specks of rotating light for a shimmery and whimsical effect. Ripple: Create a series of concentric circles, to mimic the effect of rippling water over your image. Spin Blur: Create a series of circles with a concentric centers that rapidly spin and move across the screen, adding a hypnotic spiral to your video.